A sample of the lineage diploma can be seen here on the right, (fee £50). 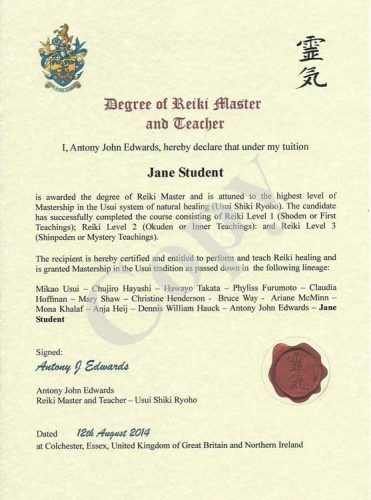 This is an additional Diploma option, offered by the Reiki Master at the end of the course. The accredited SNHS Diploma is included in our course fees.